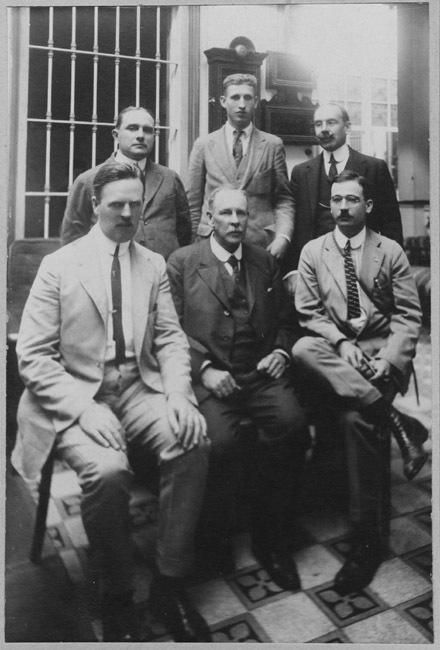 Photograph of Mulford Biological Exploration team members. White is on the far left in the light suit. In 1921-1922 Orland E. White, a plant geneticist at the Brooklyn Botanic Gardens, participated in the famed Mulford Biological Exploration of the Amazon Basin, in search of medicinal plants and rare animal specimens. White's journal from the exploration describes the jungle, the native peoples encountered, and the members' plant hunting, including an unsuccessful search for aca-aca plant, used by native women to prevent conception. In 1927 White was appointed professor of agricultural biology and director of Blandy Farm which he proposed to make a center for genetic research. On arriving at the farm White found "a neglected piece of land with some dilapidated buildings, no modern improvements of any kind, ... and more kinds of weeds that I had ever seen in my life." When he retired 20 years later he left a modern "scientific institution with...130 acres of experimental plots, lawns, and arboretum...and a worldwide reputation and contacts." 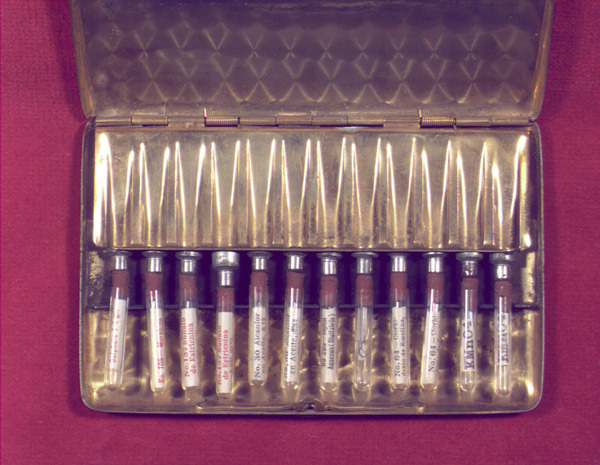 Monogrammed injection kit found among the papers of Orland E. White, presumably used in emergency procedures.